Note: This interview first appeared on Daily Radar, before the founding of Fanboy Planet. Derek McCaw: In San Diego, we talked about how you got the assignment to write Scooby Doo. But what do you bring to it that makes you the right man for the job? James Gunn: I don’t know if I can answer what makes me the right man for the job – that was somebody else’s responsibility to decide. But I can tell you why I wanted to do it. Firstly, I love the character of Scooby-Doo, as well as the rest of Mystery Ink, and the cartoons are key components of my earliest memories. Secondly, I thought it’d be an invigorating challenge writing it. I wanted to take a pop-culture icon like Scooby-Doo and look at him from a different angle. I wanted to take the weird and hopefully fascinating journey from a two-dimensional, twenty-two minute cartoon to a three-dimensional, ninety-minute movie. The problem with most cartoons-to-movies is that they attempt to be exact replicas of the cartoons – people speaking like cartoons, etc. I never wanted to simply watch a couple hundred episodes of Scooby-Doo cartoons, and then vomit them out in a different order, longer, and with real people. 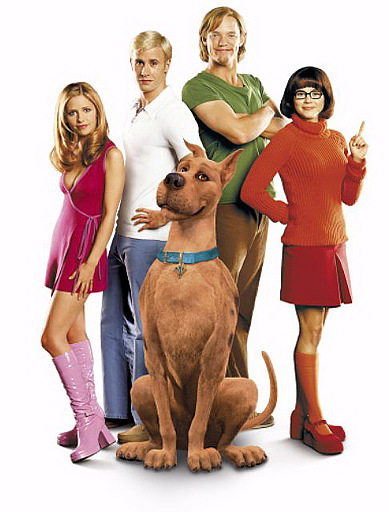 Instead, I wanted to say, “Let’s take it as fact that there’s this dog that can talk, and this group of mystery-solving teenagers, who have, in the past, come up against numerous men in masks posing as supernatural entities, and let’s take it as a fact that all the other traditions of Scooby-Doo really happened as well. If that were all real, what would these people be like? What would be their strengths and weaknesses? What problems would they have between them? What are they like between mysteries? What don’t we see on the show? In essence, if they are real, who are they?” That was a starting point for me, while simultaneously putting Mystery Ink in a bigger, more threatening situation than they’ve ever been in before. The ride, thus far, has been a blast. DM: Over the years, the actual Scooby Doo show went through a lot of changes. What do you consider to be the essence of the Scooby Doo mythos? JG: The first show, “Scooby-Doo, Where Are You?,” which began in 1969, and the second show, “The New Scooby-Doo Movies” – the ones with all the famous guest stars – are the two shows I consider the real Scooby-Doo, and are pretty much in continuity with the movie. A friend of mine, a David Bowie fan disappointed with his later work, told me she believed David Bowie died right before the second side of Scary Monsters and was replaced with an evil clone. The same could be said of Scooby-Doo, once Scrappy showed up. And though I enjoyed “Scooby’s All-Star Laff Olympics” as a kid, where the Scooby Doobys faced off against the Yogi Yahooeys and the Really Rottens every week, I’m not sure that’s the same universe as the cinematic Scooby, either. This Mystery Ink might freak out if they saw Grape Ape and try to pull his head off, thinking it was a mask, as opposed to challenging him to an igloo-building contest. 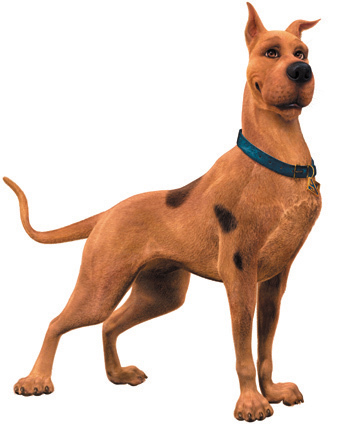 DM: Please tell me there will not be Scrappy Doo in the movie. JG: I can tell you I hate the little motherf****r with all my heart and soul. DM: Why do you think there’s such an interest in Scooby Doo right now? JG: Scooby-Doo is the primal goof and coward in all of us. He is awkward, he is scared shitless, he’s a glutton… and yet he’s still a hero. If he can be a hero, then there’s quite a bit of hope for the rest of us, isn’t there? He’s also a cartoon animal that isn’t cute in the Disneyesque sense, and he has a depth of character that most the others don’t – he has flaws as well as strengths. Plus, he’s funny. DM: Casey Kasem recently said he’d like to have a cameo in the movie. Is there a place for him? JG: I hadn’t heard that. But I dig C.K. I listened to American Top 40 every week growing up. I’ve also fought for keeping Shaggy a vegetarian, something Kasem insisted upon when he was doing the shows. DM: It’s not fair to ask your opinion on those already cast. But when you were writing it, who did you see in the roles? JG: I don’t write for specific actors when I’m writing a script, unless I’m writing for someone I already know is going to be in a movie like I did in Tromeo & Juliet with my brother Sean or The Specials with Jamie Kennedy. In a perfect world – and this would be considering most actors are good actors – I think a character should be at core the essential character, and an actor should have to work with that, not the other way around. DM: What’s your preferred writing method? Do you find any of the computer programs out there to be of any use? JG: I work on the computer, mostly. In terms of computer programs, I find Movie Magic Screenwriter to be heads and tails above the rest. DM: How’s your novel doing? JG: The Toy Collector’s doing very well, according to my publisher and Barnes and Noble. The paperback comes out in a couple of months. DM: Any movement on Spy Vs. Spy? JG: I was just talking about it today with Warner Brothers, actually. All hope is not lost. I quite dig that project, and the boys may be moving forward again post-strike. DM: Any last words you’d like to say to those who have been criticizing the Scooby Doo project, particularly out here on the web? For more info on James Gunn, check out his website.